It feels as if there is hammering and pounding in the head. Sound or talking is unbearable, as is light or glare. The pain arises from hot, choleric fumes, together with windiness. And so one feels piercing, burning and ringing. Such a precise explanation of the pain and disorientation experienced during a migraine might have been written yesterday. In fact, it comes from an encyclopedia, compiled by the Franciscan monk Bartholomaeus Anglicus (Bartholomew the Englishman), in the 13th century. There aren’t many ailments that have maintained so clear a course over so many centuries. And what’s more, looking at the history of migraines reveals that the ailment was actually taken more seriously in the past, something we can learn a lot from today. 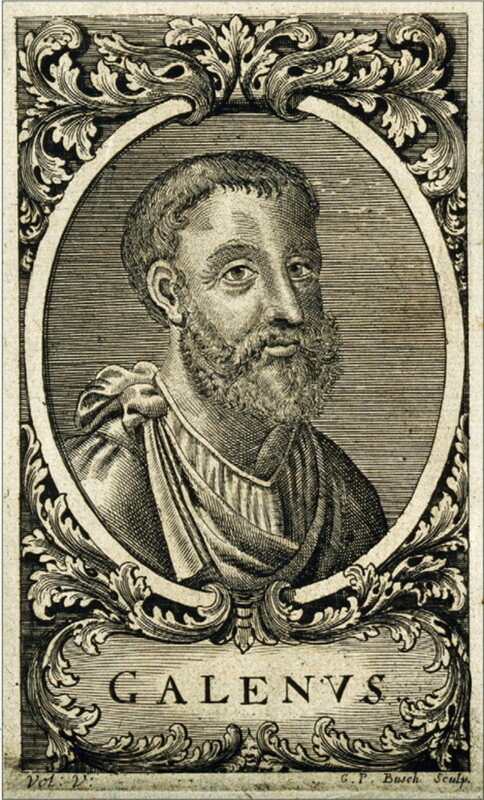 We can pinpoint the beginning of the history of migraine as a named disorder to Galen (c. 129 – c. 216/17 CE), the most famous philosopher and physician in the Roman Empire. Galen set migraine, or hemicrania as he termed it, apart from other types of headache: as a painful disorder affecting only half the head, caused by the ascent of vapours from the stomach that were excessive, too hot, or too cold. The 12th-century text of Causae et Curae, which scholars generally accept as the work of the the celebrated German abbess Hildegard of Bingen (1098-1179), gave a compelling explanation of why migraine seized only half the brain at a time: this was a bodily force so powerful, that if it seized the whole head, the pain would be unendurable. An 18th-century portrait of Galen. 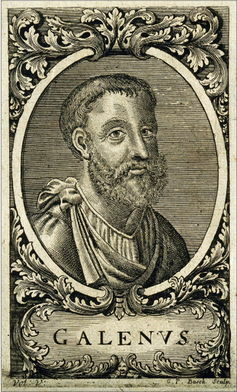 Although Galen’s writings were lost with the fall of the Roman Empire, Galen’s term, hemicrania, persisted, being adapted and adopted into various languages over the centuries. For example, in Middle English, we find emigranea and in medieval Wales the term migran. William Dunbar, writing in Middle Scots, used the term magryme in his poem describing the physical pain of migraine as being like an arrow piercing his brow, a pain so bad that he couldn’t look at the light. Dunbar also captured the migraine aftermath, the “postdrome” that came with the new morning, when he sat down to write but was unable to find any words. His head “dulled in dullness”, his body was unrefreshed, his spirit asleep. Throughout the 16th and 17th centuries, a wealth of remedies in manuscript and printed recipe collections suggest a sophisticated general knowledge about this disorder. For example, Jane Jackson’s recipe book, dating from 1642, gives six separate recipes for “Migrim in the Head”, requiring various amounts of effort to produce. The simpler remedies could be made in a few minutes from common garden ingredients (mix houseleek and earthworms with flour, spread it on a cloth and bind to the forehead), but the most complex concoction required equipment, planning and financial outlay to produce a medicine that would last 20 years. As well as taking migraine seriously, Jackson’s recipe book suggests that people of the 17th century appreciated that migraine could occur on a spectrum, from the occasional acute attack to a chronic illness that could last for several days. These historical descriptions of migraine reveal that we have lost something. In all of the sources from the medieval and early modern period that I have come across during the five years I have spent tracing the history of migraine, one thing is clear: these people took migraine seriously. This is important. Migraine is now accepted as a “real” disorder which affects around one in seven people, two-thirds of whom are women, and is recognised by the WHO as the sixth highest cause worldwide of years lost due to disability (YLD). But despite this, it (along with other headache disorders) is nevertheless chronically under-funded, its sufferers often ignored, dismissed or blamed, and their ailments under-diagnosed and under-treated. In her recent book Not Tonight, the sociologist Joanna Kempner has described this situation as migraine’s “legitimacy deficit”. So what has happened? Historical sources suggest that the question we need to ask is not how we can begin to give migraine the legitimacy it needs, but when and why we stopped taking it seriously in the first place. 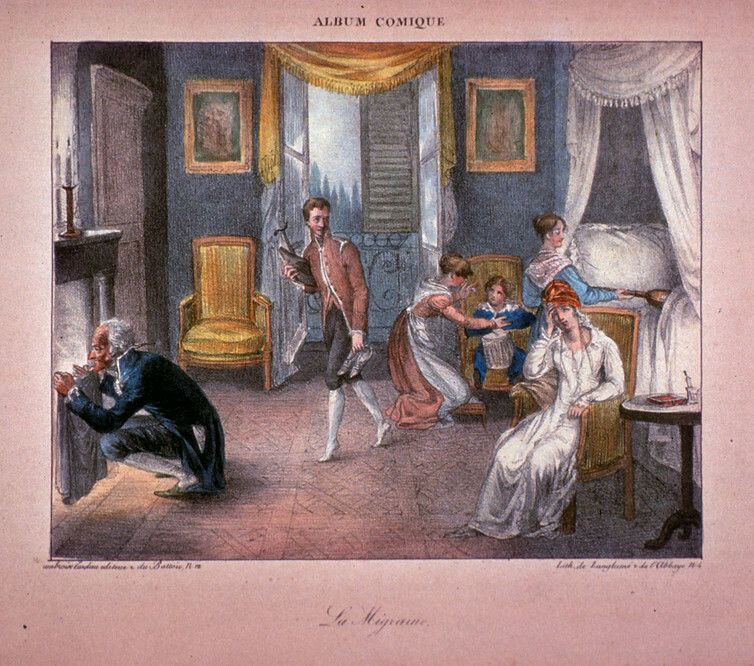 Over the course of the 18th century, something changed, as migraine became the stuff of ridicule. In May 1782, for instance, a flamboyant character graced the King’s Theatre Masquerade in London, and introduced himself to the gathering as “Le Sieur Francois de Migraine, Docteur en Medicine”. And in the summer heat of August 1787, the General Evening Post described how “half Paris had the migraine, and no lady of fashion could be prevailed upon to quit her boudoir”. Migraine was becoming something to joke about, a complaint that affected a particular kind of person, usually female. By the 19th century, physicians routinely talked of young female “martyrs”, and of sick headache and megrim as a disorder of “mothers in the lower classes of life” whose minds and bodies had been weakened by daily toil, disturbed sleep, insufficient nourishment and constant lactation. 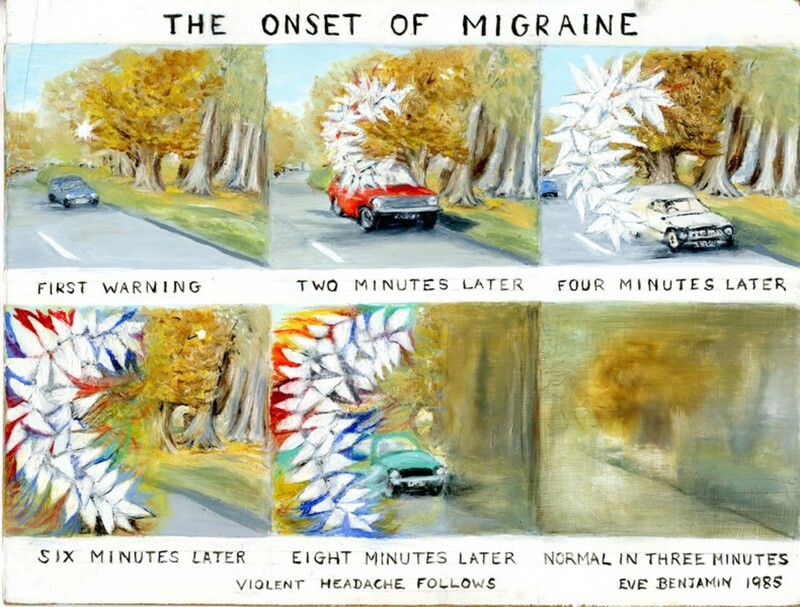 During the 1980s, many migraine sufferers took the opportunity to share their experiences of migraine by entering four international art competitions. The resulting collection, which includes over 500 pieces, reveals the powerful effect migraine has on people’s lives. Perhaps most striking is the frequency with which motifs such as arrows, hammering, pounding, light, glare and disorientation appear in this art – seemingly as familiar to sufferers today as they were to the medieval poets and physicians who discussed this disorder nearly 1,000 years ago. For the first time, this collection is the subject of a dedicated website, which has now been launched by the charity Migraine Action as part of Migraine Awareness Week. These paintings, backing up a thousand years of historical sources, make it clear that migraine is more than just a headache. It needs to be taken as seriously now as it was by Galen.